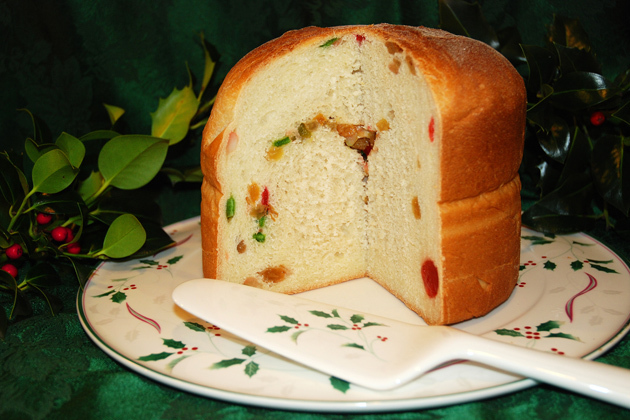 See at Chez Bullhog, Italian style Panettone has become a holiday tradition. Studded with dried fruit and other goodies, it’s an impressively towering loaf that’s perfect for breakfast or for sharing with friends and neighbors. But if you’ve ever tried to make panettone at home, you might have encountered my dilemma: what the heck do you bake it in? One day a few Decembers ago I got frustrated with my options, and took a hard look at some cookie tins I had on hand. With the base supported, I wondered if a parchment paper collar could handle some of the work. I lined the tins’ bottoms tightly and built a folded parchment tube that slipped inside. When the dough pushed up against it during the rise, I stapled the tube at the top. It worked so well through rising and baking that I now use these cookie tins with new parchment collars every year. Cream together ½ cup warm water and 2 teaspoons active dry yeast in a large mixing bowl and let sit 10 minutes until foamy. Scald 2/3 cup milk in a 1-quart pan, and add to it 4 Tablespoons of salted butter. Let cool to 100°. Add ½ cup sugar, 2 cups of all-purpose flour and 1 ½ teaspoons salt to the yeast concoction in the mixing bowl; now add the cooled milk mixture. Beat with a flat beater for 10 minutes until smooth. Cover and let rise overnight in a cool environment, such as a basement room. In a small mixing bowl, cream together 1 teaspoon active dry yeast, ¼ cup sugar, ½ cup all-purpose flour and ½ cup of warm water. Let sit at room temperature for 1 hour until foamy. Mix these two batters in the large mixing bowl and let rise at 70° for 3 hours. Beat the batter down with the handle of a wooden spoon, cover the bowl, and put it in the fridge to rest overnight. Take the dough out of the fridge and let it sit for at least an hour at room temperature. Deflate if necessary. Melt a stick of salted butter and, when it’s mostly soft, add it with 3 eggs and ¼ cup of sugar to the dough. Add 1 teaspoon each of vanilla extract and anise extract. Using the dough hook, work in 3 cups of all-purpose flour, scraping the sides of the mixing bowl as necessary. Beat on low for 10 minutes. Measure 1 cup of golden raisins and cover them with cold water. Have the raisins and 1 cup of mixed dried fruit peel handy. Turn the dough out onto a moderately floured work surface and knead for 5 minutes, using a dough scraper to keep the dough from sticking to the counter. Cut the dough in half and spread each half into a rectangle. Drain raisins and put half the raisins and half of the mixed peel onto each piece of dough. Roll up and fold at the middle to make a round ball. The tins I use are from Danish butter cookies that I’ve seen on sale for years. (3 inches high with a diameter of 7¼ inches) Wash them in soapy water, rinse and dry well. You’ll be using the bottoms only. Roll out parchment paper to lay flat on a table. 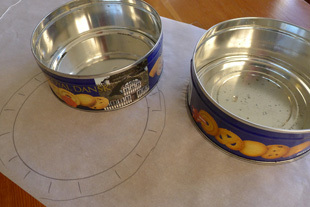 Put a cookie tin 1” in from the edge and end of the paper and draw its outline with a pencil. Draw another outline 2” away from that outline and 1” from the edge. Cut a circle with scissors 1” away from the outlines (the outer circle as shown in the photo above) and then snip 1” lines in to the center circle every 1½” around the rim. Put the finished piece into the tin and nestle it into place so that the tabs stick up to form a tight inside corner all around the bottom of the tin. 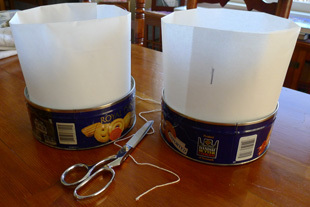 Cut a sheet of parchment paper about 4 inches longer than the circumference of each tin. (To figure circumference, either measure the tin’s diameter, halve it, and use the formula 2πr or take a piece of string around the tin to measure it. Either way, I come up with 23”. Plus 4” is 27”.) Fold this piece of paper in half along its length. Make a rough tube with the doubled parchment and stick one folded end inside the other to overlap by about 6”. With the fold uppermost, put this down inside the tin to stand on the bottom. Lightly expand it to fit the tin. If you’re happy with the fit, put two staples at the top of each join. I like to save this step until an hour into the rise, when I can see how the bulging dough has affected the tube. 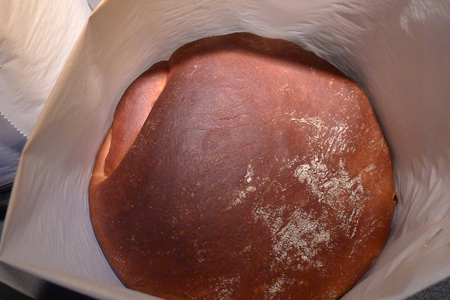 Final rise and baking: Put a ball of dough into each tin, being careful not to dislodge the parchment. 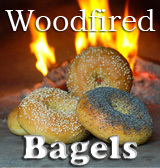 Let rise at 75° for 3½ hours until tripled in bulk. Set a rack one up from the lowest position near the bottom of your oven and preheat at 400° for 20 minutes or more. Bake panettone at 400° for 10 minutes, lower heat to 350° and bake a further 35 minutes until the loaves are well browned. Cooling the panettone: Let the loaves cool in their tins for 30 minutes. Meanwhile, prepare a way to allow the loaves to further cool on their sides. One way is to roll up 2 bath towels, set them side by side on a counter and put two clean dish cloths over them. After 30 minutes, carefully remove the panettone from the parchment and tins and place the loaves on their sides in the valley made by the two towels. Turn occasionally, letting them cool on their sides for 2 hours before cutting. Final note: You can make this panettone richer, if you’re so inclined. Double the eggs, add an extra stick of butter, use an extra ¾ cup of flour and add an extra teaspoon of yeast in the last dough to help the rise. Whichever way you do it, it’s sure to be an Italian delight. Buon Natale! Panettone is utterly irresistible to me. I never knew how to do it at all and appreciate all the colorful commentary that I’d never find in a recipe. I like this idea! No I don’t… I love it! Thank you so much for sharing this. I am sooooo doing this! Can’t wait. I love pannetone, it’s just so pretty sitting there in the italian grocery store Love the repurposing of the cookie tin too! Thanks for the panettone recipe. I thought it would take some time to do all the risings! I can imagine that these would be much tastier than the ones we buy at the Italian grocer in a box Don. I hope you have a wonderful holidays season with your family!!! Lovely. Wish I’d thought of using cookie tins when I made mine. I also used sourdough starter, which requires a much longer rise time. I love panettone, I love the way you made yours! Panettone is one of my favorite types of bread! I’ve never tried making it at home but this makes me think I can actually pull it off! I love this italian delight! Thanks for sharing! OMG! This is a fantastic tutorial on making panettone … perhaps I can begin making my own , rather than paying through the nose for this sweet, soft Christmas treat! This is perfect for Christmas. Merry Christmas to you and your family! I have never made panettone so I never knew there was a dilemma. After reading this post I feel so educated, thanks so much, now I just wish I could try some! I always had the same question when I was thinking of baking panettone. Thank you so much for the tip. I already saved this recipe to my favorite recipe list. Thanks–this really helps a lot. I am going to try to make this gluten free for my aunt, with regular flour for other family!! Merry Christmas! 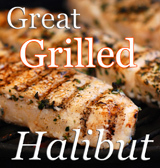 This great recipe is an inspiration. I have mine on its first rise as I write this comment.